Deposit taken on this bike. 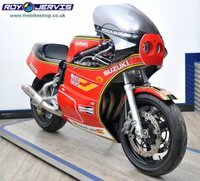 Lovely Old but Gold Low Mileage Example of this Awesome Iconic GSX-R1000 Supersport from Suzuki. Looks Stunning in Black and Red Livery. Owners Manual and Service Book. Service History up to 20,000 miles. Will come with up to date Service and 12 Months MOT. 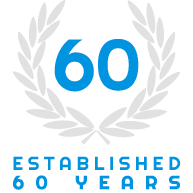 Usual Dealer Facilities. Part exchange considered. Finance details on request. UK Mainland delivery within 10 working days from ONLY £149! 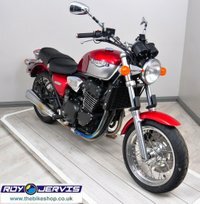 We want clean low mileage bikes WHY? See loads more great bikes at www.thebikeshop.co.uk - Please ring for full details and to arrange viewing of this Incredible Motorcycle - Definitely a future classic! Roy Jervis & Co Ltd have been trading in Ripley for over 70 years and are one of the Country's Leading Supplier of undoubtedly the Best in Very Low Mileage, Stunning Secondhand Motorcycles - We deal in all Genres of Motorcycles, Sports, Cruiser, Naked, Touring, Adventure including all the Main Marques, Suzuki, Yamaha, Kawasaki, Honda, BMW, Aprilia, Ducati, Harley Davidson, Victory etc. plus Exotica and Japanese Classics. Owners and staff are all keen Bikers who love to talk Bikes! UK Delivery. A deposit has been taken on this bike.